Municipalities are failing to provide safe, clean water to homes and businesses across the United States. An aging water infrastructure is causing safety hazards all over the country and estimates suggest that millions of Americans could have contaminants in their water. One way to protect against these hazards is to instruct a plumber in Westchester to install a water filtration system in your home. Here are three ways a whole house water filtration system can help to keep you and your family safe from hazardous chemicals. All water contains some chemical contaminants. Many of these contaminants are harmless, but some can cause serious health effects. A whole house water filtration system installed by local plumbers removes common waterborne contaminants, such as chlorine and chloramines, from your water supply, helping to keep you and your family healthy. The average American household uses more than 300 gallons of water per day. Running water from faucets and showering accounts for roughly 32 percent of this use. A whole house water filtration system from a reputable plumbing service ensures that you receive clean, safe water from every faucet in your home, giving you and your family peace of mind that your water is safe to drink and bathe in. Lead can enter your water when lead-containing pipes, solder, fixtures, fittings and faucets corrode. Corrosion is more likely to occur in areas where water has a low mineral content or a high acidity level. Children are especially vulnerable to the effects of lead exposure through water. Even low level lead exposure can cause severe physical and mental problems in children. 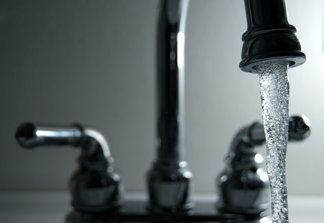 A whole house water filtration system removes lead from your water, helping to protect against lead exposure. It can also transform the water you drink and use daily. Following the installation of a water filtration system by a plumber in Yonkers, you and your family will notice an immediate difference in your water quality and purity. For more information on whole house water filtration systems, please contact A. Borrelli Mechanical today.